The bill will improve progress in restoring and protecting the water quality and living resources in the Long Island Sound watershed, Suozzi says. Long Island, NY - Sept. 14, 2018 - Today, Congressman Tom Suozzi (D – Long Island, Queens), Co-Chair of the bipartisan Long Island Sound Caucus, helped secure a 5-year reauthorization of the Long Island Sound Program. “This is a great victory for the Long Island Sound - our national park. I’ve spent my entire life in, on and around the Sound, and witnessed firsthand its transformation and revitalization. From my days as Mayor of Glen Cove and Nassau County Executive, to my first term in Congress, I’ve championed efforts and policies to clean up the Sound. We have made tremendous progress over the past 20 years and must continue to build on today’s momentum. I will continue to fight for funding and policies that will help preserve the gains we’ve made and make further strides so generations to come can enjoy the natural splendor of the Sound,” said Suozzi. The program, funded at $65 million, is part of an amendment to S. 3021, America’s Water Infrastructure Act of 2018, which includes the Long Island Sound Restoration and Stewardship Act (H.R. 1674). The bill reauthorizes the Management Conference of the Long Island Sound Study and will improve progress in restoring and protecting the water quality and living resources in the Long Island Sound watershed. The Long Island Study brings together federal, state and local partners to protect the Sound. In the past 20 years, the study has cooperatively reduced, by 40 million pounds, the annual discharge of nitrogen, restored 1,625 acres of habitat, reopened 317 miles of fish passage and engaged hundreds of thousands of people through education and volunteer efforts to help restore the natural beauty and habitats of the Sound. In the next 20 years, the funding today will help continue this important work and foster continued cooperation among all levels of government with local stakeholders. 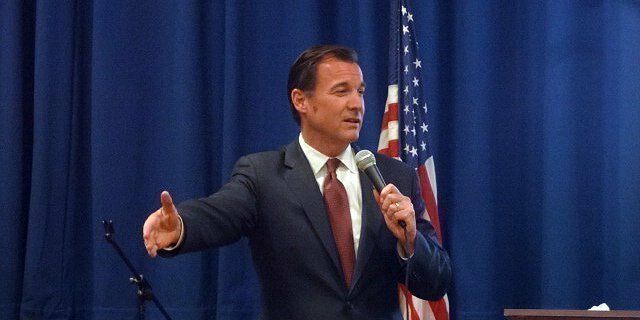 Subject: LongIsland.com - Your Name sent you Article details of "Suozzi and Long Island Sound Caucus Secure Reauthorization of EPA Long Island Sound Program"